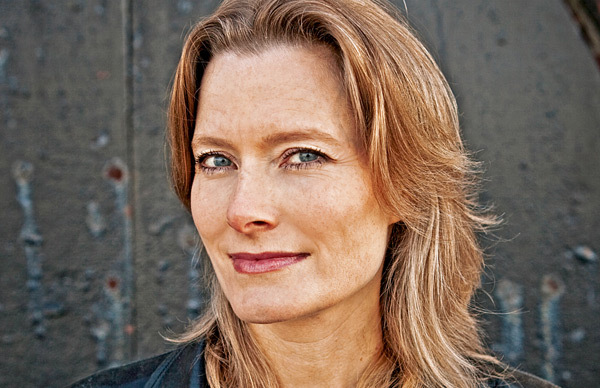 Jennifer Egan is the author of six books, including the Pulitzer Prize-winning A Visit from the Goon Squad. As engaging as one of her characters, Egan captivates crowds with tales of her early days as a struggling writer, her approach to storytelling, and her ultimate success as one of today's most innovative authors. Her newest novel, Manhattan Beach, won the Andrew Carnegie Medal for Excellence in Fiction. She is currently the president of PEN America. 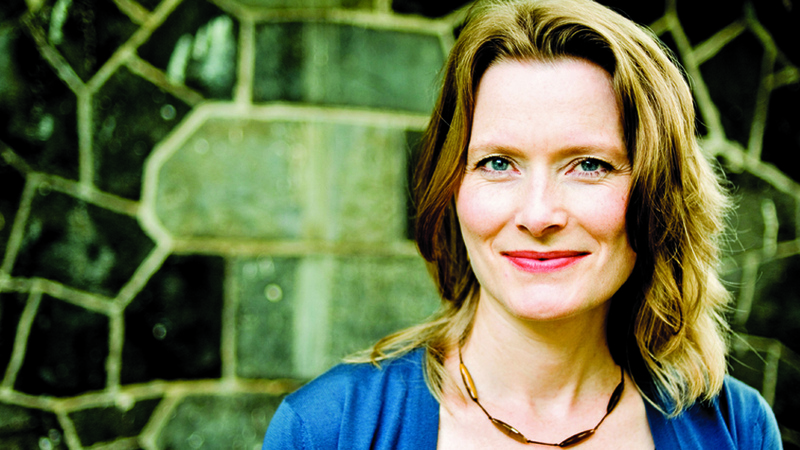 Jennifer Egan is the author of the 2011 Pulitzer Prize–winning novel A Visit from the Goon Squad. Published in 2010, the book soared to the top of many publications’ Best of 2010 lists, including The New York Times, The Washington Post, Time, Slate, Salon, and People. In addition to being awarded the Pulitzer Prize for fiction, A Visit from the Goon Squad won the National Book Critics Circle award for fiction, and was a finalist for the PEN/Faulkner Award for Fiction, the IMPAC/Dublin Literary Award, and the Irish Book Award. Her latest novel, Manhattan Beach, is a New York Times best seller, which the Boston Globe heralds as “Egan’s most remarkable accomplishment yet.” It is Egan’s first historical novel and it delves into the world of World War II era New York, with the story of a young woman who becomes the first female diver in the Brooklyn Naval Yard, navigating a world populated by gangsters, sailors, bankers, and union men. Egan is also the author of The Invisible Circus, a novel that became a feature film staring Cameron Diaz; Look at Me, a finalist for the National Book Award in fiction in 2001; Emerald City and Other Stories; and The Keep, which was a national bestseller. Her short stories have appeared in The New Yorker, Harper’ s, Granta, McSweeney’s, and other magazines. She is a recipient of a Guggenheim Fellowship, a National Endowment for the Arts Fellowship in Fiction, and a Dorothy and Lewis B. Cullman Fellowship at the New York Public Library. Her nonfiction articles appear frequently in The New York Times magazine. Her 2002 cover story on homeless children received the Carroll Kowal Journalism Award, and her article “The Bipolar Kid” received a 2009 Outstanding Media Award for Science and Health Reporting from the National Alliance on Mental Illness. 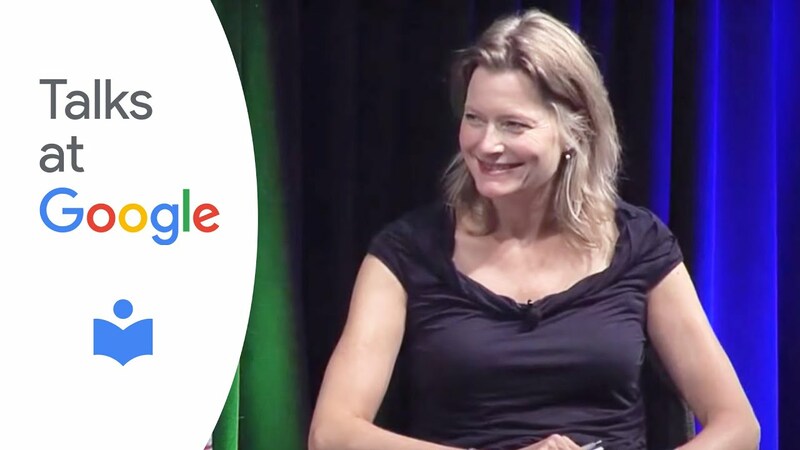 From 2005 to 2017, Jennifer Egan researched the various realms of her new World War II-era novel: the Brooklyn Navy Yard, deep sea diving, organized crime and the merchant marine. With an accompanying slideshow, she shares details of her research, including letters, family photos, and anecdotes from oral history interviews. The authority of a finished book can make it seem entirely removed from the creative acts of an actual human being. In this lecture, Egan delves into the messy, accidental nature of her own writing process, and discusses in detail the methods she has used to groom and shape the chaotic results into fiction, with a special focus on A Visit from the Goon Squad and Manhattan Beach. A discussion of how to create vital and authentic characters in fiction using voice, dialogue, and description. A debunking of the myth of the "consistent character." Egan will read from and discuss works by Jean Rhys, Robert Stone, Lorrie Moore, and Don DeLillo. Egan will discuss how and why she became a writer of cover stories for The New York Times Magazine, and how her journalism and fiction writing have interacted and influenced each other over the years. Egan, who has used PowerPoint, Twitter, and text messaging in her fiction, discusses when—and why—she has found it necessary to use experimental approaches in her work. She addresses the danger of gimmickry and how to avoid it, and explains why unusual structures can sometimes be the best way to accomplish old-fashioned storytelling. Jennifer was an absolute delight, and the students and faculty loved meeting her and were very inspired by both the Q&A and the reading. They’ve been raving about her visit since she left! Quite a few of the professors in the English Department taught Manhattan Beach and/or A Visit from the Goon Squad, so the turn out for both events was great! Jennifer was one of the easiest and most laid back writers we’ve ever brought to campus. It was an absolute pleasure and an honor. It was spectacular. I think it’s safe to say that everyone was wowed by the whole thing. Many people in the audience thanked me after the event. Pen Pals with Jenifer Egan was a tremendous success! Jennifer’s insightful look into her writing process and extensive research had the audiences thoroughly engaged on both days. And what a lovely person she is! Everyone was charmed and fascinated by her talk. At the event last night many people stopped me and told me how wonderful they thought she was. She gave us a lot to chew on which is a good thing. It was very apparent to me that her generosity of spirit coupled with her enormous discipline in work and editing is what moves her from a very good writer to a great one. It is a good lesson not only for students but for all of us. The reading was fantastic! Ms. Egan was really wonderful—professional, amiable and generous—and everyone raved about her reading, her interaction with the audience and her willingness to share some personal anecdotes. The event was great! Jenny was extremely generous and receptive to our students during the afternoon event, and she spoke about her early experiences as writer in a way that was relatable and thoughtful. She also gave a truly fantastic reading. The audience actually ‘oohed and ahhed’ during certain moments (which I’ve never witnessed before), Jenny’s general bearing when speaking and when answering questions was both warm and captivating, and she carried the room with incredible grace and charm. Jennifer Egan’s visit was a huge success. She truly understood the program before she even arrived on campus and, as a result, was warm and generous with all of the students. She took them seriously, and spoke with them rather than at them. The students spoke about how much they appreciated her prepared remarks, high praise from adolescents who can be pretty tough when it comes to appraising those who speak to them. In short, this was about as good as it could be. I think Jennifer Egan is among the most brilliant, gracious guests we’ve had in 12 years. We had well over 450 people at her events, which is more than we expected. I’m still fielding e-mails from people who wrote to say how charming, articulate, and generous Egan was. Her accessibility brought people closer, and then her native intelligence kept them there, waiting to hear what she would say next. Several people said these were the best author events they’d ever been to. Jenny and her talk on the intersection between her fiction and nonfiction writing was absolutely great. The audience loved her and we had wonderful turnout at our before and after parties, which is always a sign that folks want more contact with a beloved author. Jennifer’s talk was perfectly pitched and expertly and genially delivered. The audience was clearly ‘tuned in’ (and I think also charmed): responsive during the presentation and enthusiastically appreciative afterward. She was incredibly generous about everything involved in this event, signing books for more than an hour after the talk, and chatting warmly with each and every person in the line. All through the reception, people came up to me to say what a terrific event it had been. I heard ‘best ever’ more often than I would ever have dared hope, and I know Jenny’s presentation and wonderfully friendly, natural manner had a lot to do with that. It was an honor to have Jenny come to our institute. She was incredibly insightful, funny, and reflective. I could tell by the questions students asked during the Q+A that they were really engaged, and that’s a testament to Jenny’s openness. Few speakers have been as generous with their time and thoughts as she. Our best guess is that 140 people attended the reading—standing room only. This is the largest crowd that we have ever had at one of our Distinguished Writers events. Yes, she was very well-received–it was an attentive, adoring audience. 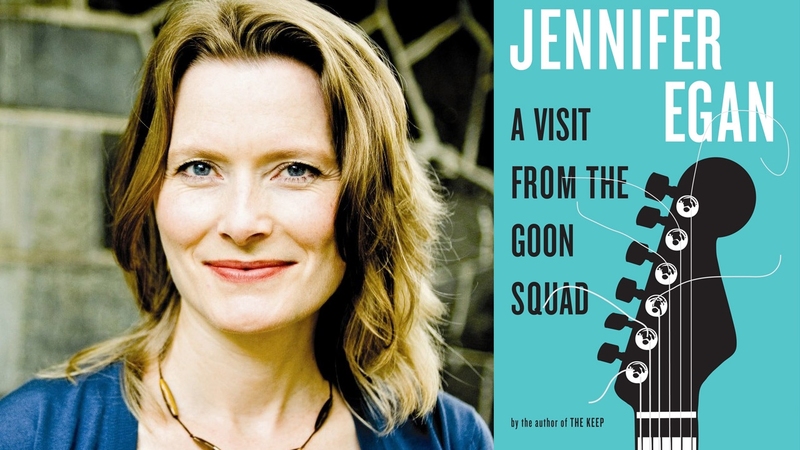 Jennifer was nice enough to sign the unsold copies of A Visit from the Goon Squad for later sale in the Wellesley College bookstore. The event was a huge success. In my opinion, Jenny’s visit was the most exciting and successful of my time here. Jenny gave so much, staying beyond her allotted time to answer questions from the many eager students, and then even fielding questions from the students who lined up to get their books signed after the reading was over. She had a gift for keeping the audience engaged, and she also made the large hall feel intimate. She’s wonderful in every way. The event was fabulous. Everyone was engaged and involved in the process and Egan responded so generously to everyone. Egan’s responses were insightful, astute, and penetrating. She was generous to the sophisticated and simple alike. Everything went perfectly and Jenny’s talk easily exceeded our high expectations. I have been receiving rave reviews from attendees since we concluded yesterday afternoon. Thank you for helping us pull off a wonderfully successful fundraiser for the Ridgewood Library. Jenny was the best. We are all charmed by her down-to-earth friendliness and utter lack of pretention, as well as being spookily smart! She read wonderfully and just the right amount. But the Q & A was perhaps the most surprisingly rich we have had in ages: her access to her own process is amazing, and she speaks so eloquently, yet self-effacingly, about it. We all felt we learned a great deal about how she WORKS, her mind’s mechanisms. She is unflagging in her cheerfulness. We would have Jenny back any day, or for forever. 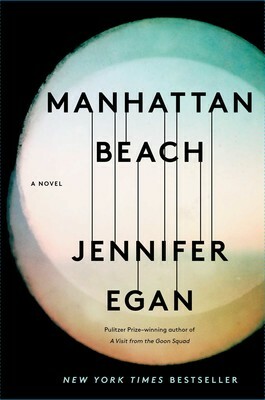 Egan’s most remarkable accomplishment yet. . . . At once a suspenseful novel of noir intrigue, a gorgeously wrought and richly allusive literary tapestry, and a transporting work of lyrical beauty and emotional heft, Manhattan Beach is a magnificent achievement. Egan’s prose is transparent and elegant. . . .But the chief joy of reading Manhattan Beach lies in diving under the surface pleasures of the plot (which are plentiful — it’s immersive and compelling), and sinking slowly to its dark and unknowable depths. There are deep truths there. A novel that deserves to join the canon of New York stories. Immensely satisfying . . . [Manhattan Beach] is a dreadnought of a World War II-era historical novel, bristling with armaments yet intimate in tone. It’s an old-fashioned page-turner, tweaked by this witty and sophisticated writer so that you sometimes feel she has retrofitted sleek new engines inside a craft owned for too long by James Jones and Herman Wouk. . . . She is masterly at displaying mastery. . . . Egan’s fiction buzzes with factual crosscurrents, casually deployed. . . . Egan works a formidable kind of magic . . . This is a big novel that moves with agility. A bounteous miracle that makes you feel that past time, and our time, differently; everything becomes freshly energized, infused with humanity, vital, sad, and full of importance. To see the world through Egan’s eyes is to be moved, through language, to new adoration of the world. I don’t know a better writer working today. There is a generosity in her prose that is vastly enlivening to its reader and brings about that beautiful effect fiction sometimes causes: more, and better-grounded, fondness for reality, just as it is. Pitch perfect. . . . Darkly, rippingly funny. . . . Egan possesses a satirist’s eye and a romance novelist’s heart. Egan’s bravura fifth book samples from different eras (the glory days of punk; a slick, socially networked future) and styles (sly satire, moving tragedy, even PowerPoint) to explore the interplay between music and the rough rhythms of life. "To see the world through Egan’s eyes is to be moved, through language, to new adoration of the world. I don’t know a better writer working today. There is a generosity in her prose that is vastly enlivening to its reader and brings about that beautiful effect fiction sometimes causes: more, and better-grounded, fondness for reality, just as it is."